Speaking at Salesforce Future of Marketing in Sydney, Gaia Grant, author of Who Killed Creativity?...And How Can We Get It Back?, raised concerns that our current habits are thwarting our potential to unlock creativity and generating innovative ideas. According to Grant, creativity is dying from generation to generation and while we’re getting more intelligent, we’re actually getting less creative. She said research reveals 98 per cent of children aged between two to five years old score highly on creative intelligence, but that drops by the time the child is five to eight years old to 32 per cent. “This drops again by the time children are 12 to 15 to about 12 per cent and finally, by the time we’re adults, it’s down to only two per cent,” she said. She blames rules and regulations in the schooling system as one of the primary killers of creative thinking, because it focuses too much on conforming to regulations and procedures. Gaia differentiates between creative artistic processes to creative problem solving, which she believes is essential for innovation to survive and for brands to stand out from the crowd. “It’s about developing different and new ideas that make a difference,” she said. 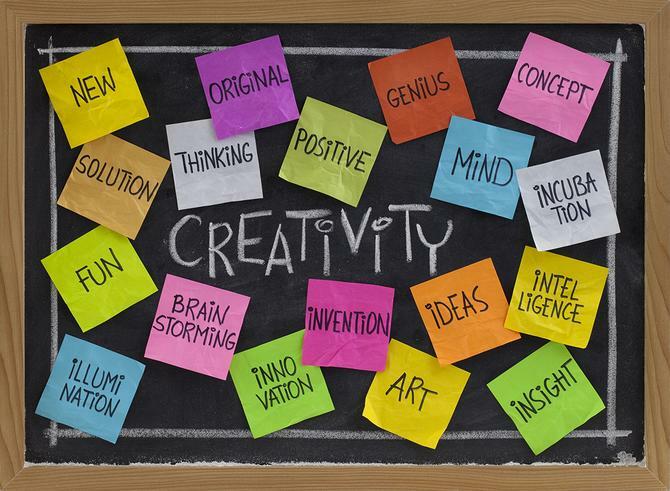 Factors that contribution to effective creative thought leadership are originality, elaboration, resistance to closure, flexibility and integration, she said. Gaia stressed we need to look outside what we’re taught to see via the Internet, social media and television in order to re-focus positive idea generation. Gaia claimed one company that did this successfully was Dell. When everyone in the technology industry was focused on retail, it decided to take a more customer-focused angle. “Dell created the sales process and came up with something original and different,” she said. Another organisation that focused on idea generation and elaborated on the creative process when it decided to enter the China marketplace in the 1980s was Proctor & Gamble, she said. This was at a time when no other multinational had managed to crack the market. Perspective is also key when it comes to creative problem solving, Gaia said, especially taking time to look at things from the customer’s point of view. “It’s all about turning things around and looking at it from different angles and perspectives,” she said. Companies that have done this well include Uber, which has become the biggest transport company in the world that owns no cars, and AirBnB, the biggest accommodation provider in the world that owns no hotels. “Both have been incredibly flexible in coming up with breakthrough innovations where they are seeing things from their customer’s perspective and seeing what they see and what they want,” she said. Being able to switch from the left and right sides of the two hemispheres of the brain is another powerful way of unlocking creativity, like musicians and dancers, who Gaia claimed do this quite effectively. An organisation that has captured this way of thinking in its branding is L’Oréal, she said, by coming up with the augmented reality app, Makeup Genius. “The app combines the retailer idea with the creative idea to come up with a truly innovative product,” she said. One thing Gaia warned against doing, however, was multi-tasking. She claimed it is one of the killers of creative thinking, as our focus drops dramatically when we’re trying to work on more than one thing at once. “We’re taught to multi-task and we’re taught that’s what we need to get through efficiently, but our brains cannot cope with it,” she said. “We lose energy and we lose time. It takes two hours out of hour day in terms of our productivity. In fact, multi-tasking lowers our IQ twice as much as smoking or marijuana. One organisation that did this successfully was Shell, where an engineer had a problem trying to access oil locked in the crevices underneath the earth’s surface.